Today I will be reviewing a new launch by Plum. Its the Plum Eluminence Deep Moisturizing Creme 😀. Now, the weather has turned really cold in Bangalore and my skin was getting dry. I was looking for a good moisturizer and it was at that exact time Plum launched this product. So I went ahead and ordered it. 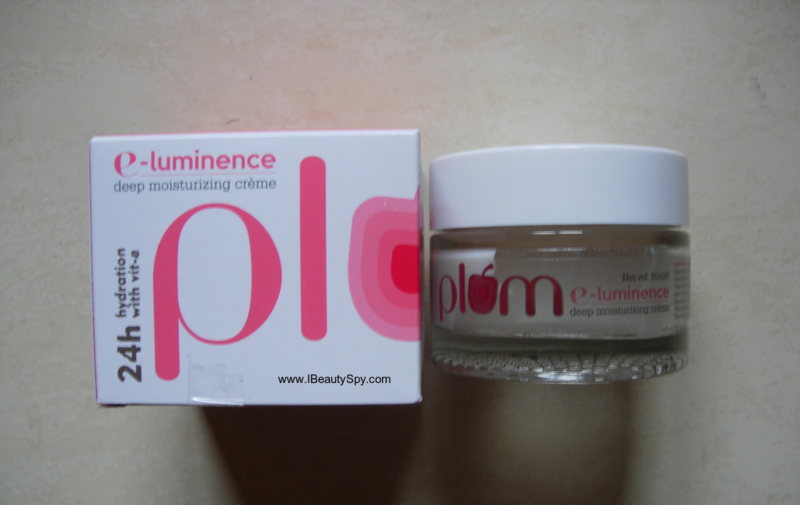 Let me share my experience with Plum Eluminence Deep Moisturizing Creme. For the first time in India! The hydrating power of Vitamin E is boosted by a dozen potent plant nutrients, to provide unmatched hydration and nourishment to dry & damaged skin. The result: bouncy, hydrated skin that exudes a happy, dewy radiance. This rich day-and-night creme blends beautifully into skin. It is highly recommended for normal, dry and very dry skin. Plum Eluminence Deep Moisturizing Creme comes in a small glass jar packaging with pink graphics which look really pretty. Its a little heavy to be carried around. I wish they launch a travel-sized version of this soon or a travel kit containing mini size products. The cream is white in color and very thick. It has a mild, soothing fragrance which is not bothersome. When I first saw the ingredients list with so many floral extracts, I was really impressed and had great expectations from the product. We all know the benefits of flowers for skin. It helps to brighten and soften skin, gives a nice glow and helps to maintain the youthfulness of skin. But including flowers in our daily skincare routine is really difficult. I have tried floral face packs at home by grinding the flowers, but its a time-consuming process. Including so many floral extracts in a moisturizer is a good way to treat your skin. Now, the cream is very thick but not emollient enough to spread and blend easily. If you try to use this cream on a dry face, it would be difficult to blend it in and feels heavy. After many times of trying this, I started mixing it with some aloe vera gel and then applying. Then it glides easily and a little amount only is needed. It takes some time to get absorbed completely – around 2 minutes. Once its absorbed, you can feel your skin moisturized, soft and supple. The moisturization effect lasts for an entire day and I don’t need to reapply it. My skin which is usually prone to sunburns also felt soothed and calmed. I had many dry patches and my face was looking rather dull. Plum Eluminence Deep Moisturizing Creme worked perfectly for my skin and cured all the dry patches, lending a natural glow. With regular use, you can feel your skin is nourished and healthy. Now when I mean glow, its not an instant glow which you get on applying the cream. Actually after applying, your skin might appear little darker due to the presence of various oils and butters. But with regular use, you can see your skin having a natural glow and dewy radiance of its own, not due to brightening agents in the cream, but due to the fact that your skin is healthy and nourished. I had some fine lines on my forehead and with continuous use of this cream, I can feel them smoothed and reduced. 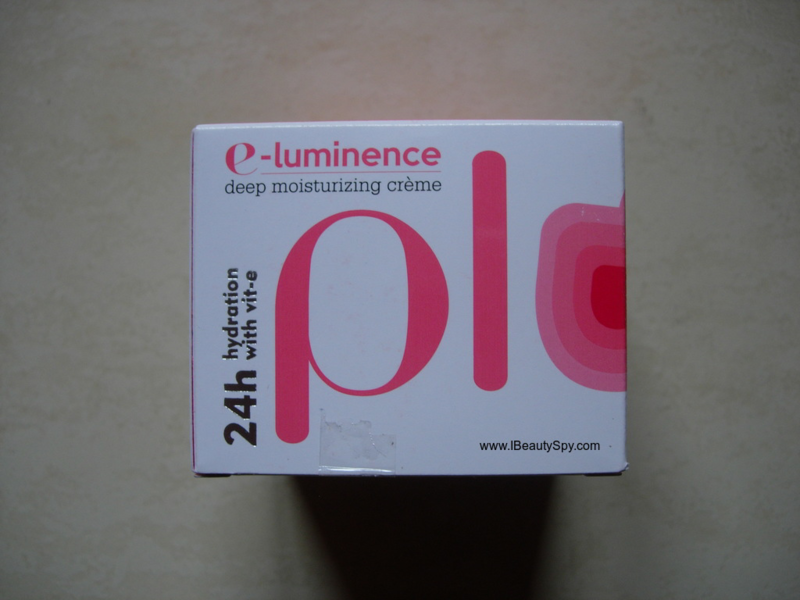 Plum Eluminence Deep Moisturizing Creme didn’t cause me any breakouts. It doesn’t clog the pores and doesn’t cause whiteheads or blackheads. Plum Eluminence Deep Moisturizing Creme can be the best choice for dry, sensitive skin. The only con that I find in the cream is that, its very moisturizing and nourishing but not hydrating as claimed. Moisturization and hydration are two different things. Moisturization refers to whether your skin has oil balance and hydration refers to water balance. Lack of hydration can actually make your skin appear darker. Also, I feel the cream is not emollient enough and very thick, so I have to mix with aloe vera gel every time. It satisfy all its claims except hydration and bouncy skin. The cream is moisturizing but not hydrating. And only hydrated skin can be bouncy. 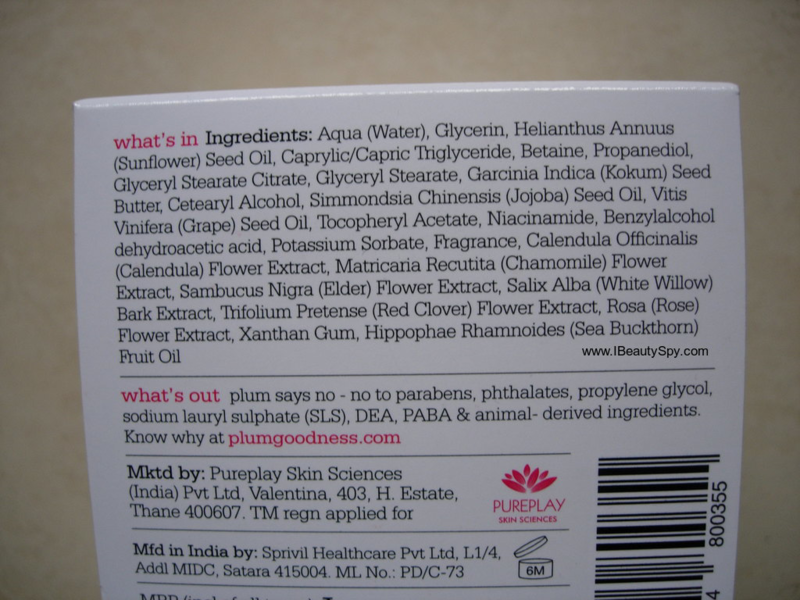 * Impressive ingredients list containing many floral extracts. * Deeply moisturizes and nourishes skin. * Makes skin soft, smooth and supple. * Soothes and calms skin. * Moisturization effect lasts for an entire day. * With regular use, skin has a natural glow and dewy radiance. * Smooths out and reduces fine lines. * Doesn’t clog pores or cause whiteheads/blackheads. * Paraben-free, mineral oil-free, paraffin-free, silicone-free. * 100% vegan formula, not tested on animals. * Make the cream more hydrating as well to give bouncy and plump skin. 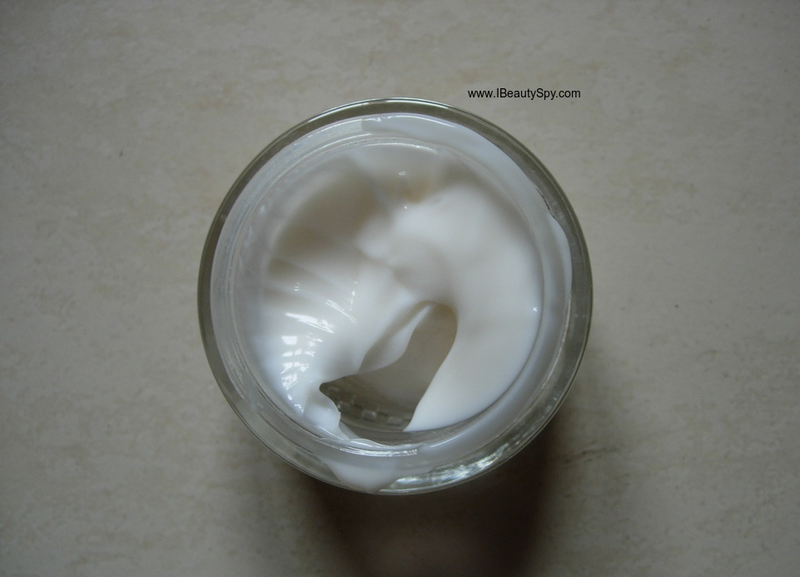 * Make the cream more emollient so it can spread well on dry skin. * Travel-sized versions of this / a travel kit of mini sized Plum products. Yes, if you have dry and sensitive skin. Or if you feel your skin is becoming very dry in this winter season. Its little expensive compared to drugstore brands. But when you compare it to other paraben free, silicone free brands, it is affordable. If you have checked my review of Kronokare Moist-Urge Cream, it costs Rs.795 for 50g. 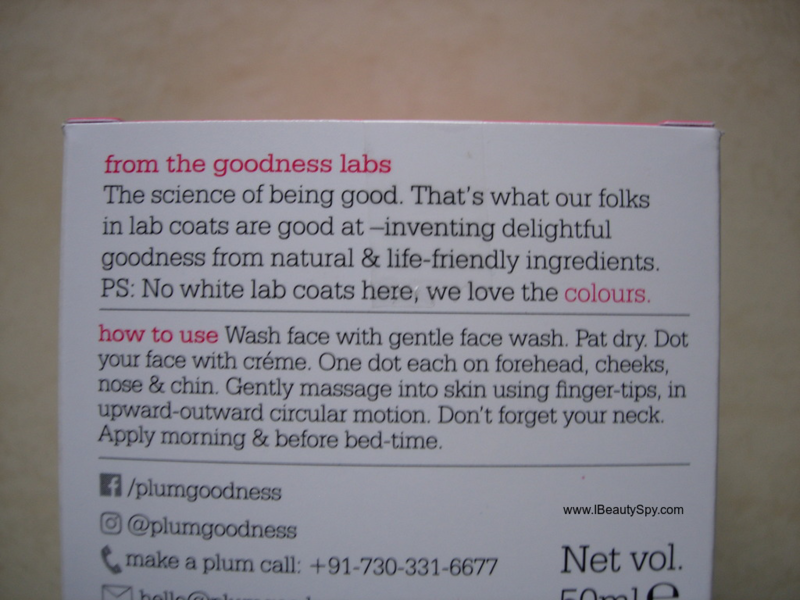 Overall, Plum Eluminence Deep Moisturizing Creme is a good moisturizing cream for dry skin in winters. But I think they can improve their formula a little to increase the floral extracts and add more hydration. My skin has been dry and flaky recently. I would have to give this a try! 🙂 Very well reviewed! The packaging is very cute but its not for my skin type :(. I used another product from this brand and it worked for my skin. Plum products are quite well, the green tea range suited me quite well, especially the mask and the moisturizer. Yes, I too love Plum products. I haven’t tried the green tea range yet. Only the choco-latte range. The product looks promising no doubt. I think I’ll give it a try since I suffer from dry skin. I love Plum kajal. Thank you Vaishnavi 🙂 Yes, I wouldn’t suggest it for summers. Ingredient list seems impressive. Might give it a try for my winter dry skin. Loved the in depth review. This product looks promising ! 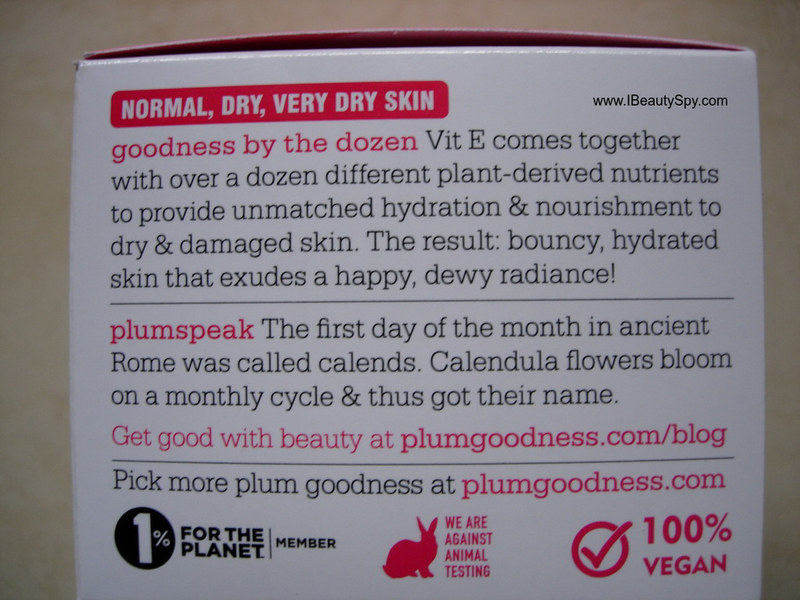 thanks a lot for this and other plum products review, I came to know about this brand accidently. I am always on the lookout for some natural skin products as i suffer from psoriasis (hands and soles of my feet), so my homeopathy doctor overall has forbidden me from using any cream. i use oils (olive, til or coconut), but i so badly want to start using some moisturizer or body butter etc. Could you please tell me if you have heard of know any people with skin problem using this product, or any other good brand of moisturizer that you can suggest. it will be really helpful. i am 53 years old, in addition to psoriasis i have extremely dry skin.